Natural pink diamonds - color the original. 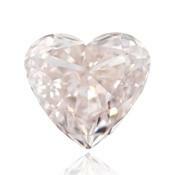 - Beautiful 1.01ct, Light Pink heart shape. Due to its great depth- 46% looks biggert than its real size. - 1.28ct Fancy Purplish Pink Cushion shape diamond with a GIA VS2 clarity.A lovely pink diamond with bubble gum color and and perfect color face up. 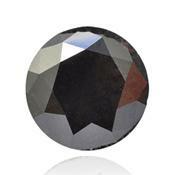 A stone with 60% depth - looks like 1.5 ct. 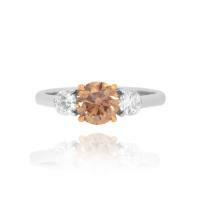 Perfect stone for a pink diamond engagement ring. Sert. GIA. 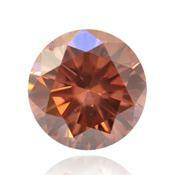 To look at all offer for sale on pink diamonds. 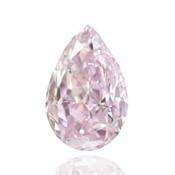 Undoubtedly, fancy color pink diamonds are the most valuable stones on a planet as determined based on the price per carat. Despite, that for pink diamonds there is the classification helping with determination of the price of a diamond, color pink diamonds owing to the rarity have no fixed prices. 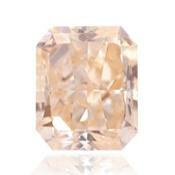 For especially rare pink diamonds the price will be determined, during sale at auction. 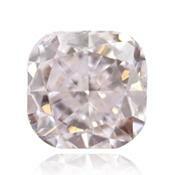 Investments into exclusive pink diamonds are long-term investments. Twenty years ago one carat of faultless Pink Diamond was sold for about $70,000.00 for 1 carat, today the same diamond will cost $500,000.00 for 1 carat. 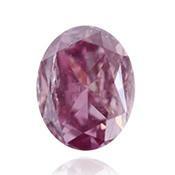 In November of 1995, at the Sotheby auction 's in Geneva Purplish Pink Diamond of 7,37 carats was sold for $6 037 500 that $819 200 for 1 carat turn out. 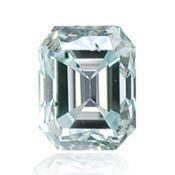 Even on condition of high transparency and quality of a cutting colourless diamonds are inferior to fancy "colleagues-contenders" a color diamonds. After all any - pink, blue, etc. 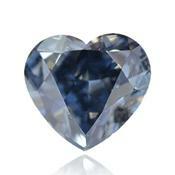 diamonds meet in the nature much rarer and therefore are appreciated much above. 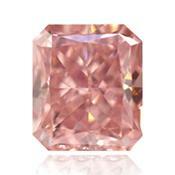 The pink diamond a long time was considered as the most rare of color diamonds. After the opening of the mine “Argayl” in Australia, the main supplier of pink diamonds, the situation in the market changed and today the pink diamond continues to remain a rare stone, but not such as, for example, a red diamond. 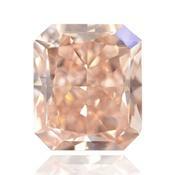 Emergence of pink color, arises because of small deformations in a crystal lattice of diamond. 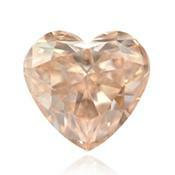 As discussed above, in the nature on 100 thousand diamonds represent only one stone of pink color. Much more seldom pink diamonds, that after cutting it is possible to receive large diamond, with a weight of several carats. Where pink diamonds are minded? Pink diamonds mined only in a several mines. Now the main source of pink brilliants is the mine “Argayl”, located on the territory of northwest Australia, but also production of pink diamonds is made in India, Africa and Brazil. The rarity of pink diamonds and their high price has led to that the fact that stones are known for the most part only in exclusive circles of that of the few who is able to afford to pay for these diamonds. 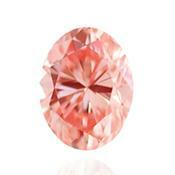 Natural pink diamonds can't be found in jewelry stores. 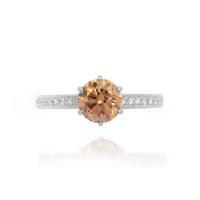 But, despite very high prices, pink diamonds are in very great demand. 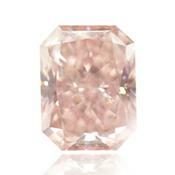 Natural pink diamonds are very rare in nature, therefore, as well as at other color diamonds, the cost of pink diamonds doesn't depend on any price-lists. 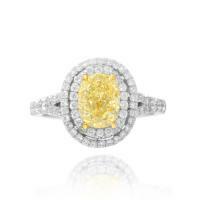 Score a diamond made in accordance with its weight in carats, quality cut, transparency and color of a diamond. But if for white diamonds the price of a stone is increases depending on its transparency, for the color brilliants, similar pink, the price will be higher from more intensively color of a stone. 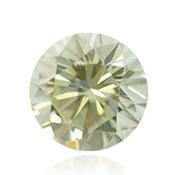 In addition, uniformity and a color saturation are very importance for color diamonds. For example, a yellowish shade at a pink diamond considerably reduces price, and, on the contrary, in case the orange or pink shade is found in a brown diamond, the current price of this diamond rises considerably. 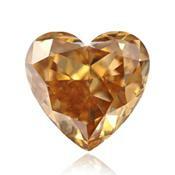 Consequently, the color diamonds often have the composite name: dominating + minor shades (For example, Yelowish Brown or Brown Pink). 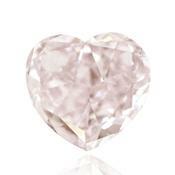 The fashion on pink diamonds arose rather recently, a little more than twenty years ago when at the New York auction “Kristis” was sold the triple pink diamond for 1500000 dollars. 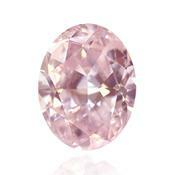 Pink brilliants, it is possible to buy only at auction or at the diamond exchange. 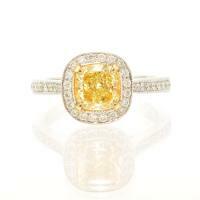 Be aware, that with fancy diamonds operates a limited number of dealers. 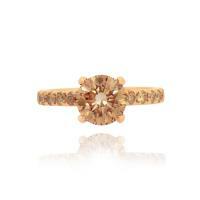 For pink diamonds, up to one carat in size, price begins from $80 000 per carat. 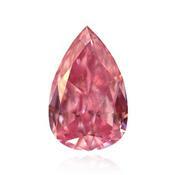 For large pink diamond the price can go up to one million dollars per carat. 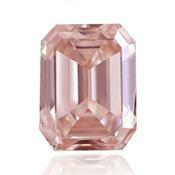 One of the most rare pink diamond was sold at auction for the record amount of 46 million dollars. 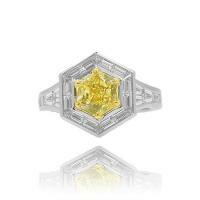 Upon purchase of natural fancy diamonds very important certificate existence. One of the most reliable, in respect of definition of artificial intervention, GIA certificates are considered. In case of color changes, in the column "Origin" it will be specified is "Treated". 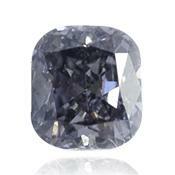 Such record means that this diamond was exposed to one or several procedures for color change. 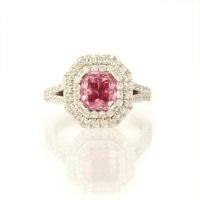 Acquire a pink diamonds can only afford to people having the ability to pay for such a rare luxury. 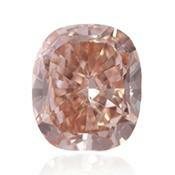 Pink diamonds belong to unusually rare and very expensive. 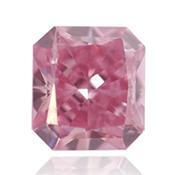 Owing to uniqueness of natural pink diamonds, these gemstones can't be found in jewelry stores. Pink color is color of kindness, romanticism. 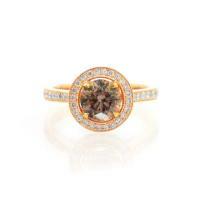 Ring with a pink diamond accentuate tenderness and refinement. 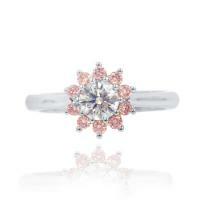 Pink diamond’s ring is not only very beautiful and exclusive decoration, as well as, an excellent investment. 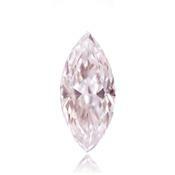 Pink diamond – to buy. Pink diamonds are unique precious minerals. 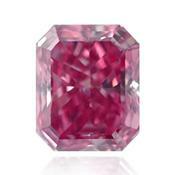 To determine the price of pink diamond is crucial quality color. 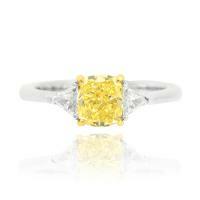 Than more intensively and more evenly color of a diamond the will be higher its price. 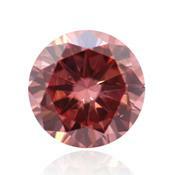 Not all pink diamonds mined in the mines, suitable for cutting and diamond production. Pink diamonds can’t be bought in the store. They are sold at auctions or diamond exchanges. The number of applications much more exceeds quantity of the pink diamonds available at present in the market, some customers expect the ordered pink diamond over a year. 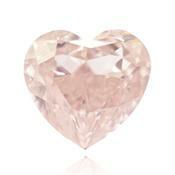 Purchase of a pink diamond is very good investment, undoubtedly. 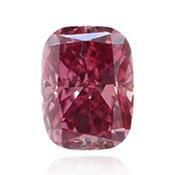 The most valuable and famous pink diamond in the world. 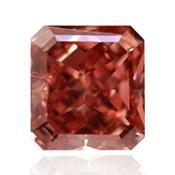 Darya-e-Noor is the largest pink diamond in the world. 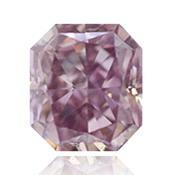 186 karat pink diamond has the light pink color which is one of the rarest of fancy diamonds. Darya-e-Noor means "Sea of Light" or "Ocean of Light". Allegedly, the pink diamond of Darya e Noor was cut from 400-karat “Great Table” brilliant in the 17th century. Presumably, it was found in Kollur mines in India. 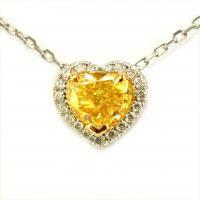 Initially, the diamond belonged to the Mughal emperors. 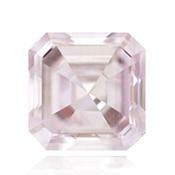 The early history of a pink diamond “Darya-e-Noor” is closely bound with history of other famous brilliant "Koch-e-Noor". In 1739, both brilliants fell prey the Nadir shah, received their as payment for return of a Crown of India. Darya-e-noor, both Koh-e-Noor, and a throne of the Peacock were taken out from India to Persia. Darya-e-noor remained intact after all the vicissitudes of Iranian history 18-19th centuries and is still there. In 1747, after death the Nadir shah brilliant got to his son Shakhrukh. Subsequently changed some owners, one of great connoisseur and collector of gems was Fatah - Ali shah, who ordered to engrave his name on one of brilliant’s sides. During the reign of Shah Nasseridina (1831-1896) exclusive transparency pink brilliant Darya-e-noor was established in the gold frame topped with shah’s symbols of Iran are Lion and Sun. Frame was heaped with 457 small brilliants and 4 rubies. Even today is a diamond in this frame. In 1979, after the overthrow of the last Shah of Iran, Mohammad Reza Pahlavi, the pink diamond "Darya-i-Nur" along with all the treasures of the Iranian crown was placed in the treasury of the National Bank of Iran. 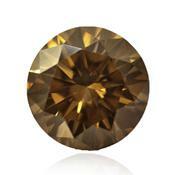 Diamond’s weight the 186th carat is the estimated weight. As pink diamond Darya-e-Noor can’t be removed from the frame without risk of damage or even destruction of the diamond, weigh accurately stone is not yet possible. Knowing the exact size of the stones is 41.4x29.5x12.15mm. Periodically, Shah’s jewelry participate in various exhibitions. 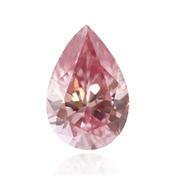 Pink Diamond "Darya-e-Noor" last shown at an exhibition in 1992. 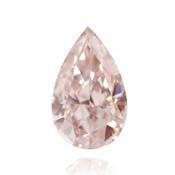 The Noor-ul-Ain, which means a "Light Eye", the diamond, weight near the 60th carat is light pink, shiny, oval-cut diamond. 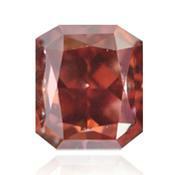 Noor-ul-Ain is one of the largest pink diamond in the world. Neither the history of an origin of diamond, nor names of the gem cutter and the previous owners are unknown. Assume, that diamond was found on mine of Golconda in India and got to the Iranian Imperial collection. 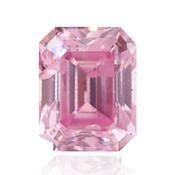 Its considered, that pink diamond Noor-ul-Ain was a component of big 400-karat Great Table diamond. Considered to that the pink diamond Great Table was divided into two parts, that are cut in two pink diamonds likes Noor-ul-Ain and Darya-e-Noor. Both of these Diamonds, currently, make up part of the Iranian Crown. In 1958 the American company "Harry Winston" made a tiara in which the central place takes the pink diamond of "Nour-ul-Ain" along other jewels for a ceremony of wedding of the queen of Iran Farah Diby with Reza Shah. After the 1979 revolution, Pahlavi dynasty royal decorations, including the pink diamond "Nur-ul-Ain", passed into the ownership the state and were placed in the treasury of the National Bank of Iran. 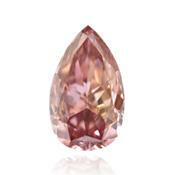 Steinmetz Pink a pink diamond weighing 59,60 carat received an assessment of the American institute of jewels(GIA) as "a fantastically vibrant pink." Its was found in Africa. Original story of this brilliant no knows. 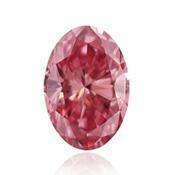 The owner of “Steinmetz Pink” diamond is the jewelry company “Steinmetz Diamond Group”. Jewelers of company «Steinmetz» took about 20 months to cut 100 carat brilliant and to give to gemstone a form of diamond. 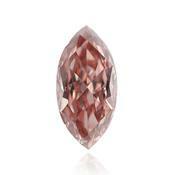 The Pink diamond of Steinmetz put in order in a pendent decorated a neck of supermodel of Helena Christensen.